Darío Adanti is an Argentinian cartoonist, writer, humorist, and actor. He is the co-founder and editor of the satirical magazine Mongolia. His cartoons and illustrations have been published in some of the most respectable newspapers from Argentina and Spain, such as El País, Clarín, El Jueves, Página/12, El Porteño, Diario Público, El Mundo, Humor, and Fotogramas. He is the author of numerous graphic novels, animated short films, TV shows, and radio programs. Since 2014, he acts in the satirical theatrical show “Mongolia el Musical,” which he co-authored. Some of his graphic novels are: “La ballena tatuada” (Ed. Camaleón, 1996); “Kolmillo Blanko. Cerebro polar” (2002, Sinsentido); “El Calavera, estar muerto es tonto” (Ediciones De Ponent, 2004); “Toda aquella caspa radioactiva” (Ed. Glenat, 2011). 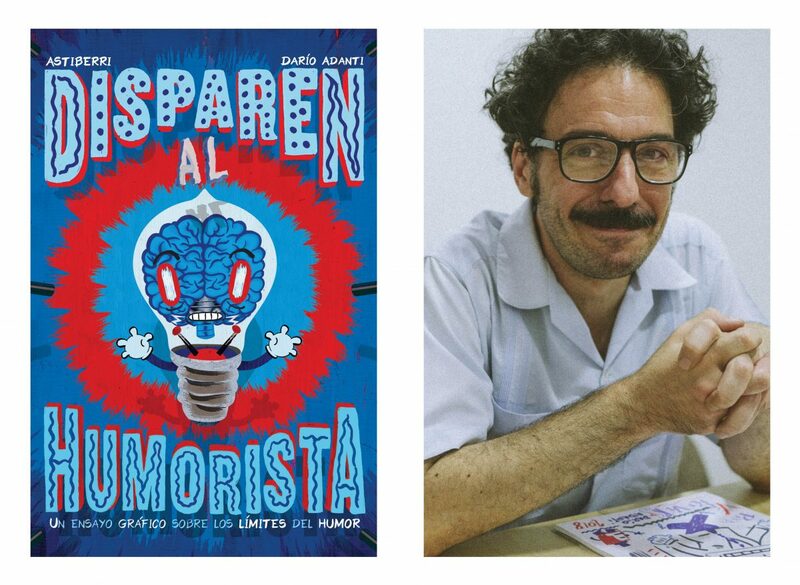 His most recent graphic novel, “Disparen al Humorista” (Shoot the Comedian), is a graphic essay that delves into the philosophy of comedy and the current obsession to restrict and regulate it. This philosophical and political essay defends the freedom to use humor and satire, currently endangered by the resurgence of puritanism, bigotry, and the suppression of individual liberties.